The happiest people make the most of everything. I’ll admit, my first reaction isn’t always to view everything through rose-colored glasses. But, I do see the benefit in searching for alternative ways of looking at things when I realize my outlook on something is causing me continued pain. In my experience, the most powerful alternative is to view my hurt, or the people I have attached to my hurt, under a different light. It may not be how anyone else views the situation, but that matters very little. What ultimately matters is how we feel about our lives, and whether or not the perspective we use to view our world, leads to a place of self-love and acceptance. When we accept ourselves and love ourselves through the different ups and downs in life, we can offer that same gift out to others around us. Here are 3 strategies I draw on to be mindful of the lens I view the world through. These reminders help me see I can always view life from a brighter perspective. If these ideas resonate, give them a try and see how you can brighten your perspective too. No matter what situation is before us, we can shift our thoughts and stories to influence how we feel about it. Our overall outlook is hugely influenced by our thoughts — positive or negative. Having a happy, hopeful perspective on life is just as contagious as a negative point of view that spins itself out, to our detriment and the detriment of those around us. It will never serve us to hang on to a story that is hurtful and damaging. There may be some immediate relief in “being right” about a situation where we feel wronged. But as quickly as that relief comes, it is gone in an instant and then we are left with thoughts that damage our spirit. We needn’t live in denial or be ignorant of situations around us. We can simply view what threatens to poison our happiness from a different perspective. There is always a way to shift our perspective. We can give a difficult person in our life some compassion and empathy rather than taking their negative outlook to heart or adopting it as our own. We can focus on what it is we do like about others, ourselves and our lives. We can start crafting new stories from this place of beauty and truth. We are all powerful storytellers, and we can use this power to shift stories towards more light and love. Each of us has a built in navigation system that will lead us to our divine truth. The trick is to actually check in with ourselves and then listen to our intuition. The soft whisper at our core will always guide us to a brighter path and perspective. At our core lives hope, love and light. The more we check in and listen, the more we will notice the darkness begin to fade. I follow the rule that when most of my thoughts feel good in my heart, I am on the right track. When I feel judgmental of myself or others, this uneasy feeling is a signal to change my perspective. What often helps is to offer gratitude for the ninety-eight per cent of my life that is going well, instead of obsessing over the two per cent that isn’t at the moment. I find it helpful to remind myself that if I don’t, the two per cent can quickly grow into a two hundred per cent monster that is much harder to tame. Trust in yourself and you won’t be disappointed. Listen to the soft, humble voice within and you will find your way back to a brighter perspective in no time. When life feels hard and we obsess about everything that feels heavy, it is little wonder life stays heavy. On the other hand, when we give ourselves permission for playful breaks (especially when we feel low) we automatically bring more lightness into our lives. 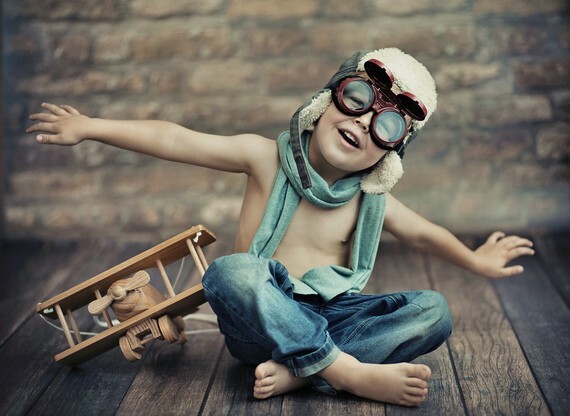 When we make a regular habit of engaging in play, we start having more fun. It is laughable how easy life becomes when we understand we are in charge of our fun. See what changes when you put on your happy goggles and practice viewing situations in a way that is going to help you live with a grateful heart. Chances are you will give yourself an incredible boost of joy while you brighten the lives of others around you. When we think and act from a playful place, we can’t help but love life. Our thoughts really do translate into our actions, words, and behaviors. What better gift can we give ourselves and the world around us than the gift of a beaming perspective? If you like what you read — be sure to click recommend❤️ below. This article was adapted from Emily’s newest title Fall in Love With Your Life, One Week at a Time. Originally published at www.huffingtonpost.com on August 5, 2016.